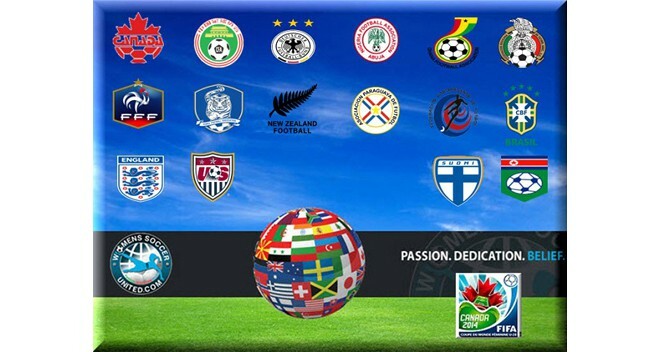 Sixteen Countries have confirmed participation for next year’s FIFA under 20 Women’s World Cup to be hosted here in Port Moresby, Papua New Guinea . The 16 countries representing the six different confederations will compete in one host city; Port Moresby with four proposed potential venues in Sir Herbert Murray Stadium, Sir John Guise Stadium, Bisini oval (Bisini Sports Complex) and Lloyd Robson oval which will be renamed as the national football stadium once completed early next year. This will be the last time PNG will host such a major biannual event which will be the 8th edition of the FIFA U-20 women’s World Cup. This was confirmed by PNGFA and Oceania Football Confederation president David Chung last month during the official sponsorship of K2million presentation done by the National Gaming Control Board at the Telikom Rumana conference room in Port Moresby. Among the 16 countries Brazil and Venezuela have also qualified after topping this year’s South American Under -20 Women’s football Championship held in Santos, Brazil which ended early this month. All ten CONMEBOL member national teams from South America entered the tournament in which defending champion Brazil came out wining for the 7th time since 2004. Venezuela got the best fair play team award during that tournament and also came runner up finally qualifying for the 2016 FIFA under 20 women’s World Cup challenge to be hosted by PNG. Chung in an email sent to Post Courier online revealed that Brazil and Venezuela will represent South America in the SA U-20 WFC organized by Conmebol. It is believed SA U-20 WFC tournament which kicked off on the 13th of November and ended on the 3rd December saw Brazil and Venezuela qualifying for the World Cup to be hosted here in Port Moresby. Both Brazil and Venezuela qualified ahead of eight other countries including Argentina, Bolivia, Chile, Colombia,Ecuador, Paraguay,Peru and Uruguay. Chung said earlier that PNG was fortunate to qualify as a host nation however New Zealand is another country that will also represent the Oceania Football Confederation (OFC) region.